Why Do Hard Inquiries Affect My Credit Rating? If I had a dollar for every time somebody told me “My credit rating is going down and I have no idea why,” I’d be living in my own building, not apartment. There are many reasons why one’s credit score drops. Some of them are missed payments, huge purchases with a credit card, defaults, errors and many others. The thing with these is that they are self-explanatory. It can so happen that your credit score can drop even if you haven’t done any of the above. And in this case, you might want to become acquainted with what hard inquiries are and what they do to your credit score. Whenever you apply for a loan, the lender checks your credit file and your credit score to make sure you’re eligible for the money. This is called “hard inquiry” because it’s a thorough examination. There is also the term of “soft inquiry,” but that doesn’t affect your score in any way. A soft inquiry is performed in the case of low-doc loans. It’s easy to understand what a hard inquiry is, but getting perspective on why it lowers your score is a little more difficult. It is not the hard inquiry itself that does the trick on your rating, but rather its long-term effect. Let’s assume you apply for a new loan. The lender performs a hard inquiry but decides not to give you the loan for a reason or another. Your application will go on your credit file anyway. You start hunting for other lenders. You apply for credit again, but you’re shunned once more after the hard inquiry was done. That goes to your file, too. Every time you apply for credit, your file records it. The fact that you’ve applied for so many loans in a rather short period is analogous to being seen as a high-risk customer. Because of this, your credit score is dropped. It doesn’t really make sense, it’s true, but unfortunately, this is the reality. It’s unjust to have your score lowered based on some assumptions that you’re a bad payer when you’re anything but. Mind that there are a few ways to stop this from happening. You don’t need to sit and watch how it’s going down helplessly. We’ll tackle some of those methods in a later section. Is My Credit Rating Going to Drop Drastically? No, a hard inquiry only takes a few points out of your credit score. A multitude of them, however, will have a more severe impact. What’s worse is that as hard inquiries progress, the number of points you lose per inquiry will grow bigger. A hard inquiry takes somewhere around 5 points out of your credit score. It’s not disastrous, but even those can make a difference in some circumstances. 5 points here, 5 points there, and they amount to much more. Pro Tip: If you’re rejected by a lender who has done a hard inquiry, but you find another one that accepted to give you a loan within 30-45 days from the rejection, that initial inquiry will not affect your score. How Can I Prevent My Credit Rating from Going Down? For starters, don’t apply for new loans when you already have a couple of them to pay off. Now that you know it has an effect on your credit score, you will probably be a lot more cautious than you used to. Another good idea is to ask a lender whether he’s going to make a hard inquiry or not. If he does, maybe there is some other way around that. Lenders know hard inquiries can do a number of your credit score, so try to reason with them. The third option you have was mentioned above: try to find a lender as quickly as possible. That will prevent your score from being affected. You can also aim for low-doc loans. Those have nothing to do with your rating at all. The lenders, in that case, don’t care about your rating as long as you sign a document in which you specify that you can pay back the money you’re about to borrow. My credit rating was dropping, too, without any evident reason, until I found out about hard inquiries. Such a practice was indeed the culprit. Again, this is sort of an unfair procedure, that’s why you have a few tools at your disposal to save your rating.Try to limit your loans. And even more importantly, don’t get a loan when you don’t really know how. If you have any issues with hard inquiries, contact Clean Credit today and hear what experts say in regards with how you can stop lenders from messing with your score when they should not. 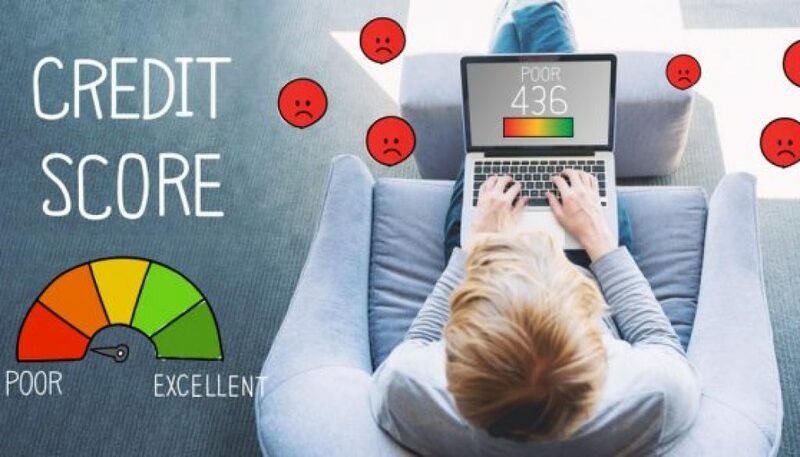 Should I Check My Credit Rating Regularly? The Credit File: What Information Does It Contain?